It all started when Warner Bros. came to me with the suggestion of turning ‘Fantastic Beasts and Where to Find Them’ into a film. I thought it was a fun idea, but the idea of seeing Newt Scamander, the supposed author of ‘Fantastic Beasts,’ realized by another writer was difficult. Having lived for so long in my fictional universe, I feel very protective of it and I already knew a lot about Newt. As hard-core Harry Potter fans will know, I liked him so much that I even married his grandson, Rolf, to one of my favourite characters from the Harry Potter series, Luna Lovegood. As I considered Warners’ proposal, an idea took shape that I couldn’t dislodge. That is how I ended up pitching my own idea for a film to Warner Bros. 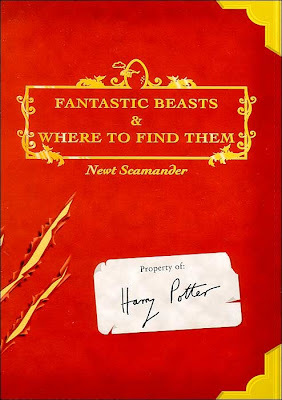 Although it will be set in the worldwide community of witches and wizards where I was so happy for seventeen years, ‘Fantastic Beasts and Where to Find Them’ is neither a prequel nor a sequel to the Harry Potter series, but an extension of the wizarding world. The laws and customs of the hidden magical society will be familiar to anyone who has read the Harry Potter books or seen the films, but Newt’s story will start in New York, seventy years before Harry’s gets underway. I particularly want to thank Kevin Tsujihara of Warner Bros. for his support in this project, which would not have happened without him. I always said that I would only revisit the wizarding world if I had an idea that I was really excited about and this is it. Universal Pictures have officially announced the fourth film in the Jurassic Park series is coming! Released on the 12th of June 2015, in 3D (spared no expense) will be Jurassic World. The Jurassic Park Facebook page posted the blue tinted teaser logo for the film. Deadline reports that the film will be directed by Colin Trevorrow, with a script from Trevorrow and Derek Connolly - The two have worked together on several films, although none I am familiar with. Steven Spielberg will be producing, along side Frank Marshall and Pat Crowley. I love Jurassic Park, and The Lost World, and, well, Jurassic Park 3 has some nice dinosaurs in it... Lets hope Jurassic World can do justice to the earlier films. Hurry up 2015!